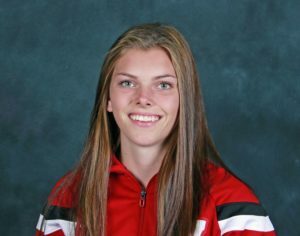 The top-ranked Wisconsin Badger women’s hockey team came back from an early deficit to knock off St Cloud State 3-1 on Saturday, earning a weekend sweep of the Huskies at La Bahn Arena in Madison. 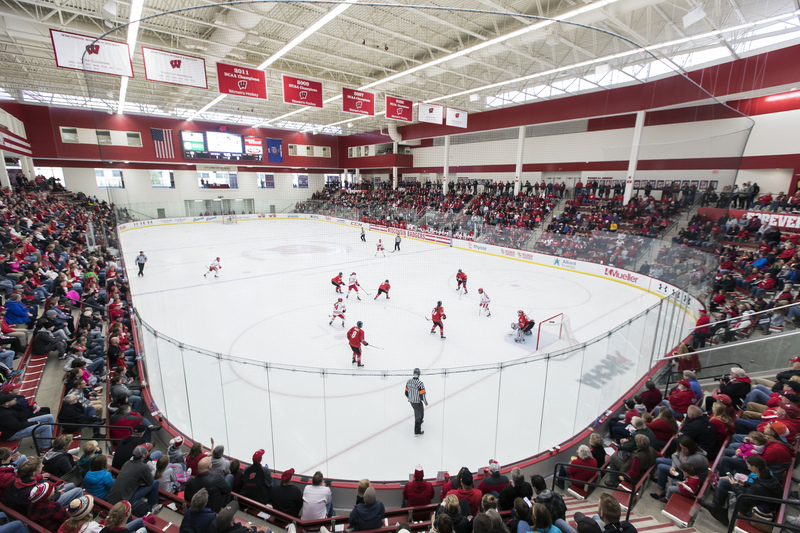 Freshman Britta Curl, junior Abby Roque and senior Emily Clark all scored for Wisconsin (23-3-0, 13-3-0-0 WCHA) in UW’s series-finale in front of a sellout crowd of 2,273 fans. Wisconsin fell behind early in the opening period, but fought back with a three-goal run to beat the Huskies (8-18-2, 3-14-0-0 WCHA). The Badgers continued their fast start tendencies. They have out outscored their opponents 31-12 in the first period. Bucky outshot the Huskies, 53-13, marking the fourth time this year UW has fired more than 50 shots on goal in a game. The win was also the 19th-straight for Wisconsin over St. Cloud State, and the 41st in the last 42 meetings with the Huskies. 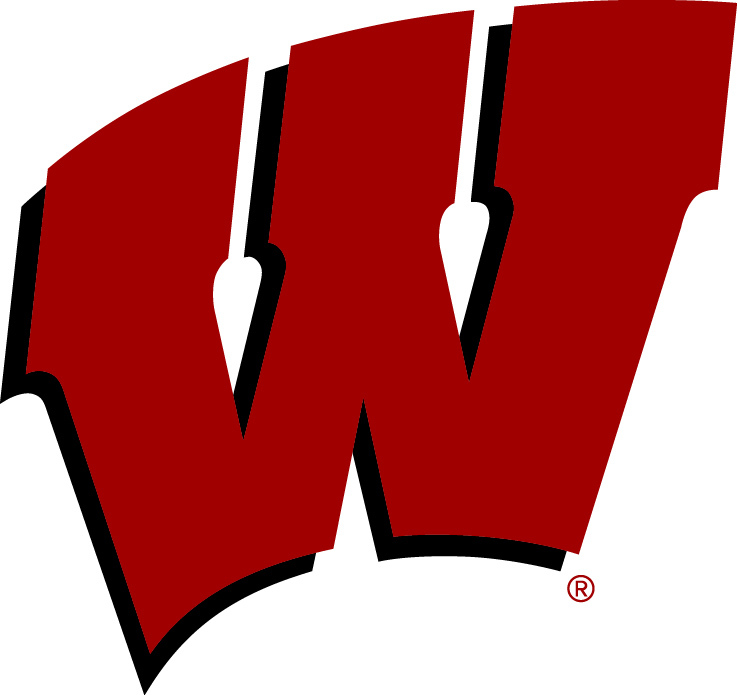 UW leads the all-time series 78-8-2. The Badgers travel to Bemidji, Minnesota, for a series with WCHA rival Bemidji State this coming weekend. Puck drops on Friday, Feb. 1 at 6 p.m., while action Saturday, Feb. 2 begins at 2 p.m.
Former Wisconsin women’s hockey standouts Brianna Decker, Meghan Duggan, Hilary Knight and Alex Rigsby were named to the Team USA roster for the 2018 Winter Olympics on Monday. Duggan and Knight will make their third appearance at the Olympics in February. Duggan captained the U.S. squad in 2014. Decker made her second Olympic team after playing in the 2014 games while Rigsby will make her Olympic debut this year in PyeongChang, South Korea. The quartet will join the five Badgers, Emily Clark, Ann-Renee Desbiens, Meaghan Mikkelson, Sarah Nurse and Blayre Turnbull, selected on Dec. 22 to the Canadian Olympic team in PyeongChang. The U.S. opens play at the 2018 Winter Olympics on Feb. 11 with a 1:40 a.m. CT game against Finland. For the first time since 1972, there are no Badger men’s hockey players on the U.S. Olympic team. However, the coaching staff has three. Badger men’s coach Tony Granato will serve as the Head Coach of the U.S. team. 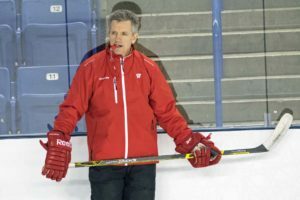 Former Badger defensive great Chris Chelios will serve as an assistant coach and another former Badger, Jim Johannson is Team USA’s general manager. The top ranked Wisconsin women’s hockey team set a new NCAA single game attendance mark in their 2-0 win over St. Cloud State on Saturday afternoon at the Kohl Center. 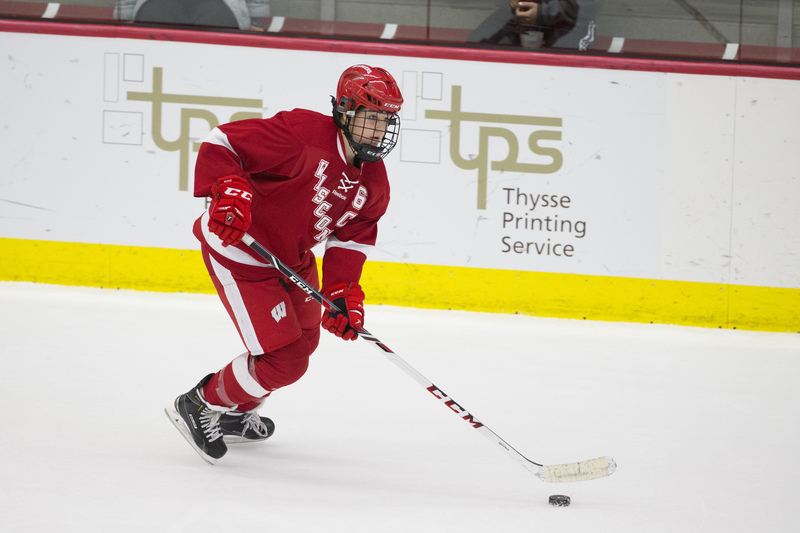 The Badgers blanked the Huskies 9-0 in the series opener the night before at LaBahn Arena. The program offered fans $1 tickets and the opportunity to donate non-perishable food items to a local charity and 15,359 of them came out to watch the best women’s team in the country do their thing. 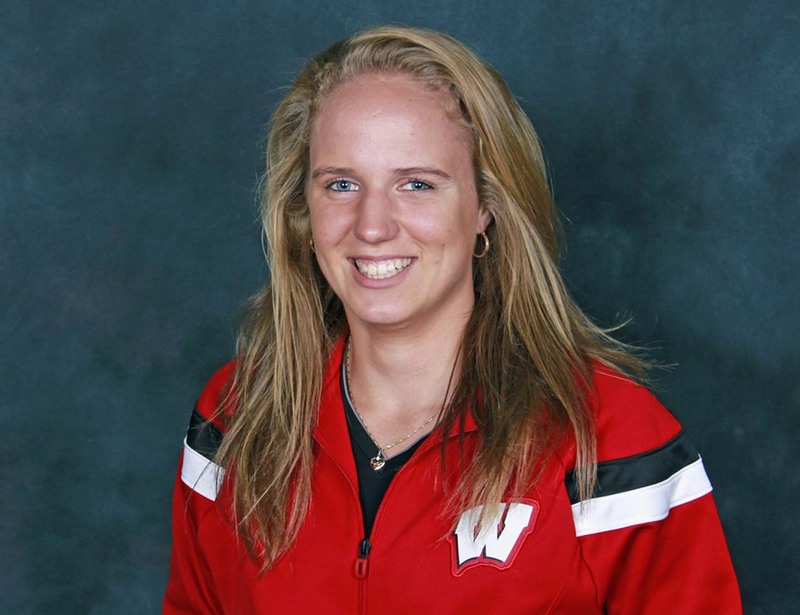 Wisconsin Badger women’s hockey junior Emily Clark was named the WCHA Offensive Player of the Month on Thursday. It is Clark’s first time being named the league’s player of the month. She’s received WCHA Offensive Player of the Week honors on Dec. 13. After recording an assist in UW’s 8-2 win over the Minnesota Gophers on Dec. 4, Clark had a breakout weekend against the Ohio State Buckeyes, scoring seven points. She had a career-high five points in UW’s 7-0 win at Ohio State on Dec. 9, collecting a goal and four assists. Clark continued her hot streak into UW’s 5-0 win the next day, tallying a pair of assists. 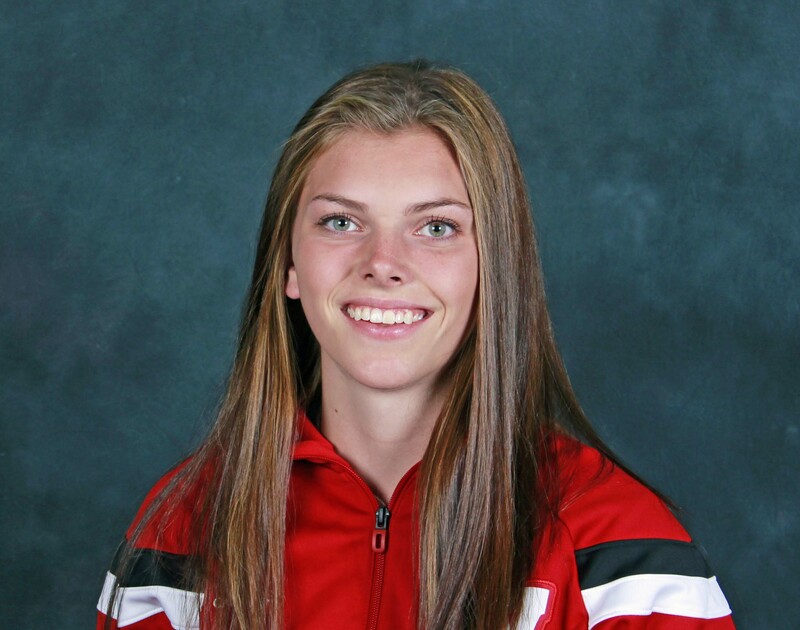 The Saskatoon, Saskatchewan native capped off her month playing on the Canadian senior national team in a series against the U.S. on Dec. 19 and 21 before heading to Germany with the Canadian development team for the Nations Cup this week. The top ranked Badgers wrap up non-conference play this weekend (Friday-Saturday) with a series at Lindenwood. The second-ranked Wisconsin women’s hockey team scored six goals in the third period to crush Minnesota State 8-1 to win their fifth WCHA regular-season title and first since 2012. Courtney Burke scored a first period goal and added four assists for the Badgers, becoming the third Badger forward to reach 100 points in her career. 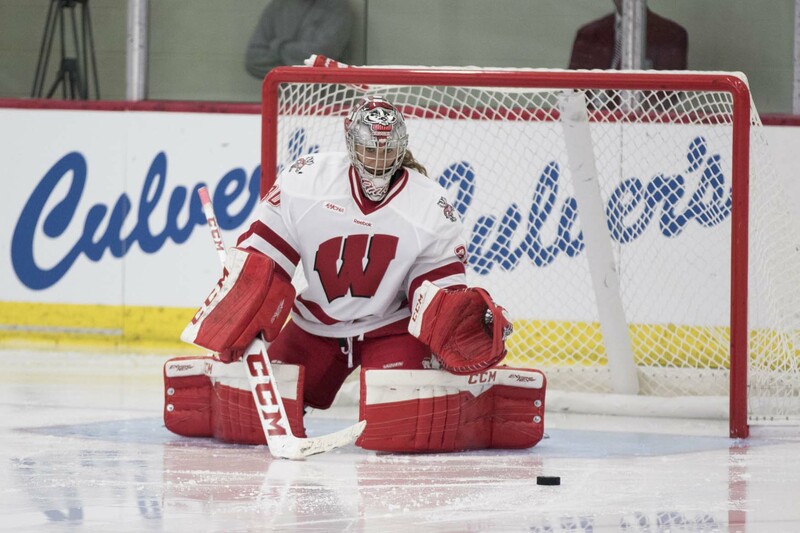 Wisconsin (30-1-1, 24-1-1-1) goaltender Ann-Renee Desbiens stopped 10 shots to earn her NCAA-leading 28th win of the year. The Badgers close out the regular season with a two-game series at Minnesota this weekend against the Gophers. 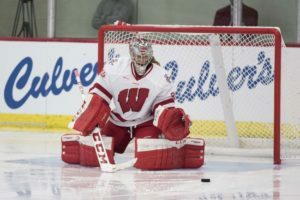 Emily Clark scored twice and Ann-Renee Desbiens’ posted her 14th shutout of the season to lead the second-ranked Wisconsin women’s hockey team to their 20th-consecutive home win on Sunday, topping St. Cloud State, 3-0, at LaBahn Arena. Desbiens tied the school record for shutouts in a season, making 13 saves to earn her 24th win of the season for the Badgers (21-1-1, 20-1-1-1 WCHA).